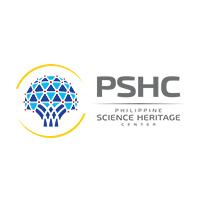 The Philippine Science Heritage Center officially launched Salinlahi Evolution, a game development competition for college students, on December 05, 2014. Despite the news of heavy rains that day, more than 80 participants were present to witness the unveiling of this innovative project of PSHC. A symposium with the theme “Utilizing Digital Technology as a Tool for Learning” was held as part of the launching. Professor Alleli Ester C. Domingo, an Associate Professor in the Institute of Mathematical Sciences and Physics, College of Arts and Sciences, University of the Philippines Los Baños and Professor Roel C. Cantada, an Assistant Professor in the Faculty of Education, University of the Philippines Open University shared their knowledge and experience about how technology is being used as a supplement for teaching. More information about Salinlahi Evolution will be posted at www.nast.ph and at the PSHC Facebook page, www.facebook.com/pshc2013. The Science Legislative Forum (SLF) on Water Scarcity Amidst Plenty: Trans-boundary Issues was held last November 27, 2014 at the Ramon V. Mitra Building, House of Representatives. 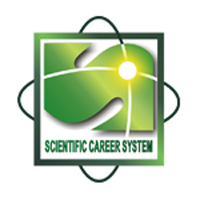 The SLF was organized by the National Academy of Science and Technology, Philippines (NAST PHL) through its Social Sciences Division (SSD) and University of the Philippines, in partnership with the House of Representatives Committee on Science and Technology. 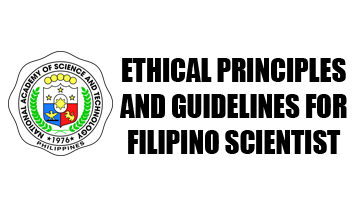 National Scientist Mercedes B. Concepcion, Vice President of NAST and chair of the SSD, delivered the welcome remarks on behalf of NAST President Academician William G. Padolina. Academician Agnes C. Rola, focal person of the SLF and member of the SSD, gave the objectives of the SLF, which are to present the water governance issues ranging for the need for a science-based water-allocation process, institutional arrangements for market-based mechanisms for trading of water permits, and platform for conflict resolutions. Dr. Rosalie A. Hall, professor of Political Science at the University of the Philippines Visayas, discussed water trans-boundary issues and the need for law to govern it. Dr. Hall mentioned that water is technically owned by the state and that people have legal rights to utilize and develop the resource through permits or concessions. Dr. Hall stated that “Water is not a free good”. She also discussed the Philippine Legal Framework of Water and the challenges to the implementation of the framework. Gaps in the law to support water transfers conflict cases caused by water and the recommendation to review the water code were discussed. 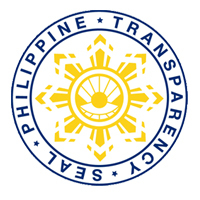 Her recommendations include the establishment of water data, requirement of public consultation prior to issuance of water permits or conclusion of contracts for water transfers, a platform to tackle water-transfer cases, and education of local level water actors on the rules regarding bulk water sale and market trade of water permits. The National Academy of Science and Technology Philippines, organized the Science Information Forum (SIF) on Rice Sufficiency: Price Rise and Importation Issues on November 26, 2014 at the La Breza Hotel, Quezon City. 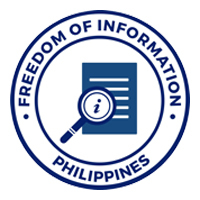 The SIF aims to inform the media on the causes of rice price increases in the Philippines and the possible effects of importation and/or trade policies. Invited experts were Dr. Isabelita M. Pabuayon, dean of the College of Economics and Management (CEM) of the University of the Philippines Los Baños (UPLB), Dr. Agham C. Cuevas, Associate Professor of the Department of Economics, CEM, UPLB, Dr. Flordeliza H. Bordey, Senior Science Research Specialist of the Philippine Rice Research Institute, and Mr. Joseph Y. dela Cruz, Assistant Administrator for Marketing Operations of the National Food Authority (NFA). Dir. Luningning E. Samarita-Domingo welcomed the participants on behalf of Academician William G. Padolina, president of NAST PHL. Dr. Pabuayon and her co-author, Dr. Cuevas, presented their study on the analysis of the rice price trends in the country. She discussed the overview of the rice market of the Philippines as compared with the world figures, rice price trends, as well as marketing-related concerns. She said that issues concerning rice self-sufficiency, food security, and price stability were interrelated. She reported that the comparative rice per capita consumption in selected Association of Southeast Asian Nations (ASEAN) countries showed that the Philippines ranked below most of its ASEAN neighbors, and conversely, significantly higher than the global average. According to her, supply and demand lead to price formation, where price affects consumer’s willingness to buy. Further, she stated that food security is the bottom line, that is, food should be available, accessible, and affordable at all times. On the marketing-related issue, it was ruled out that no evidence of collusion was found among farm to wholesale and at the retail levels.